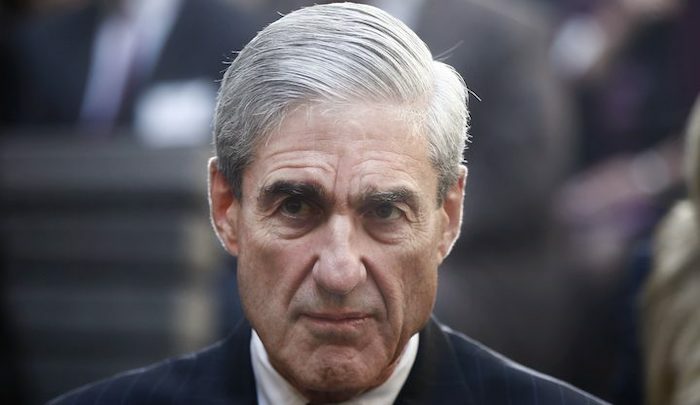 “You know, you really do have to ask yourself, where does it stop?” the president asked. 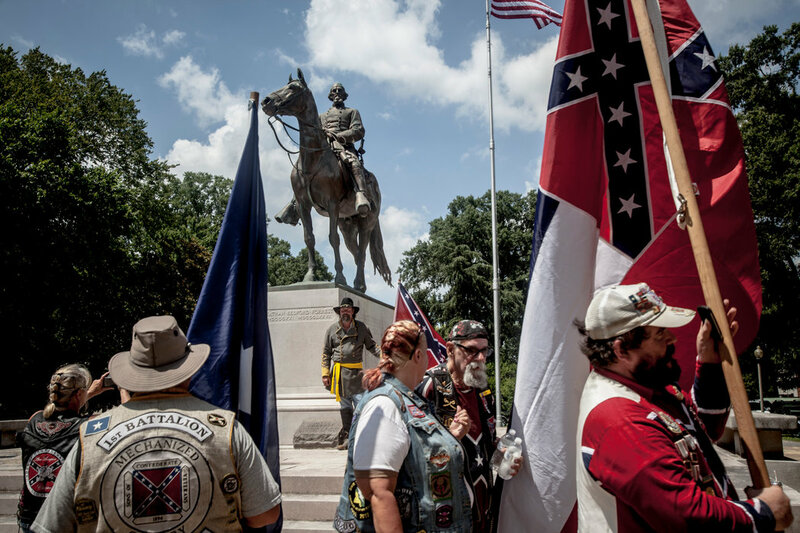 In the aftermath of the deadly violence that broke out in Charlottesville, Confederate monuments are being removed around the country after a white supremacist protest over the removal of a statue of Robert E. Lee turned into a weekend of violence that left one woman dead. The rush to remove the statues and monuments went into hyper-drive after a serious of Tweets by President Trump saying he’s “sad to see” Confederate statues and monuments being taken down around the United States. Sad to see the history and culture of our great country being ripped apart with the removal of our beautiful statues and monuments. You…..
…the beauty that is being taken out of our cities, towns and parks will be greatly missed and never able to be comparably replaced! As if on cue, the Left pounced and it turned into a national movement that is sweeping the nation. 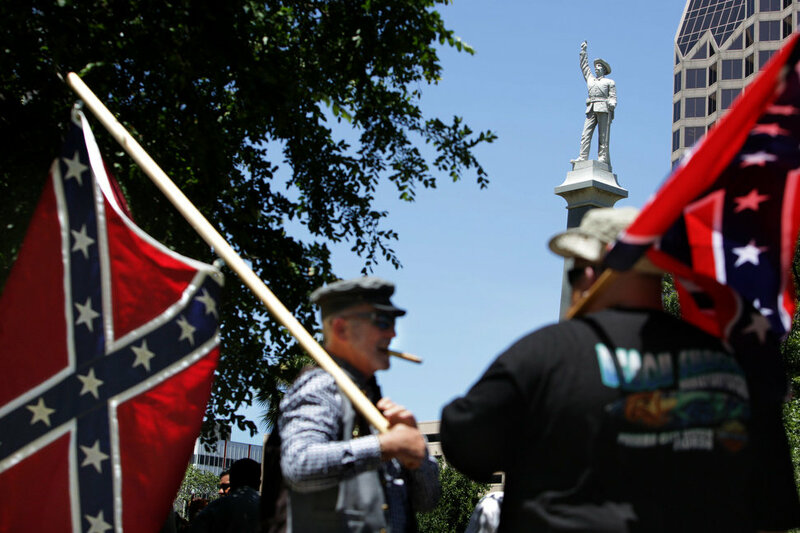 Many government officials, have called to remove statues, markers and other monuments that celebrate controversial Civil War era figures from public grounds. There are likely hundreds of such monuments in the United States. Some of the memorials to them are monuments, some are groves, others are highways, bridges, colleges, and even cemeteries. Of course, the cemeteries should not be disturbed, but they should be renamed if the Democrats are serious about rooting out the vestiges of racism. A statue of Roger Taney was taken down from its post in front of the State House at about 2 a.m. on Aug. 18. Gov. 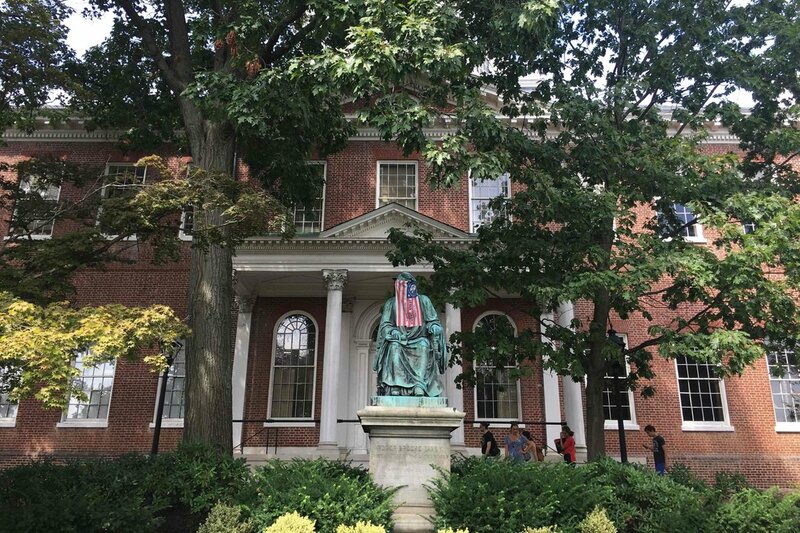 Larry Hogan, a Republican, called for its removal earlier this week, reversing a previously stated position that removing symbols like the statue would be tantamout to political correctness. Though not a Confederate official, Justice Taney was the chief author of the 1857 Dred Scott decision, which ruled that African-Americans, both enslaved and free, could not be American citizens. 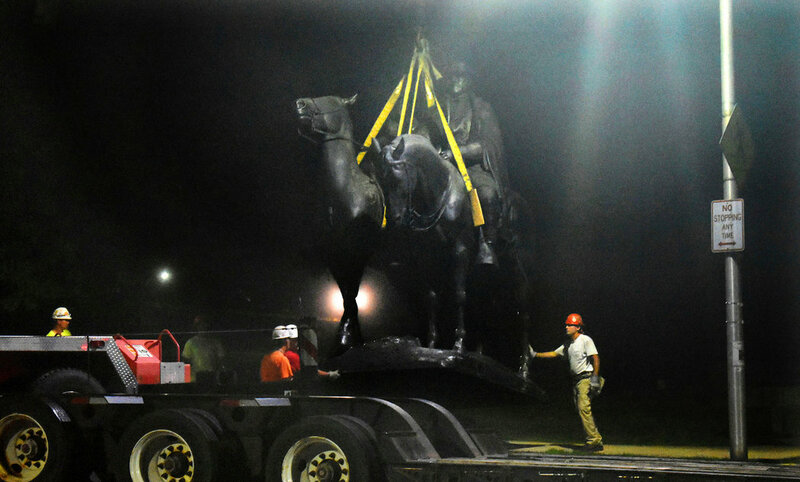 Statues of two Confederate generals, Robert E. Lee and Albert Sidney Johnston, and the Confederate cabinet member John Reagan, were removed on Aug. 21. 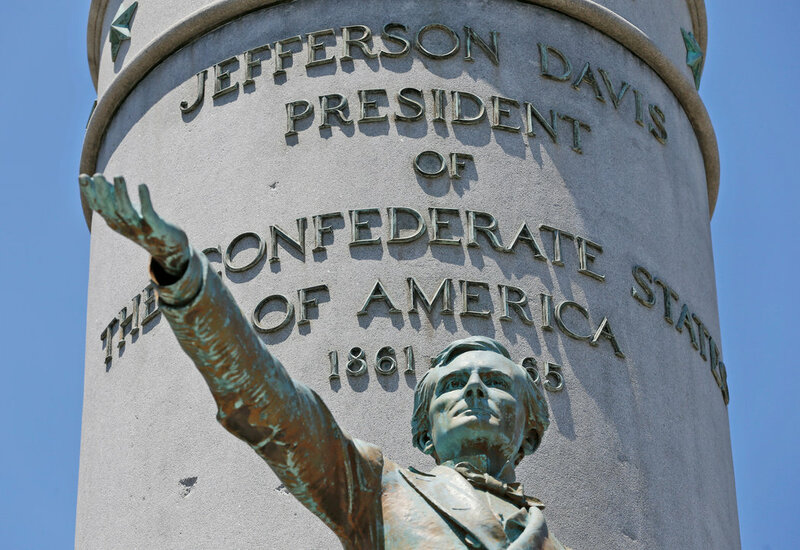 They followed the removal of a statue of Jefferson Davis in 2015. The mayor of Baltimore, Catherine Pugh, ordered the removal of four monuments to the era of the Confederacy, saying it was in the interest of public safety after the violence in Charlottesville. 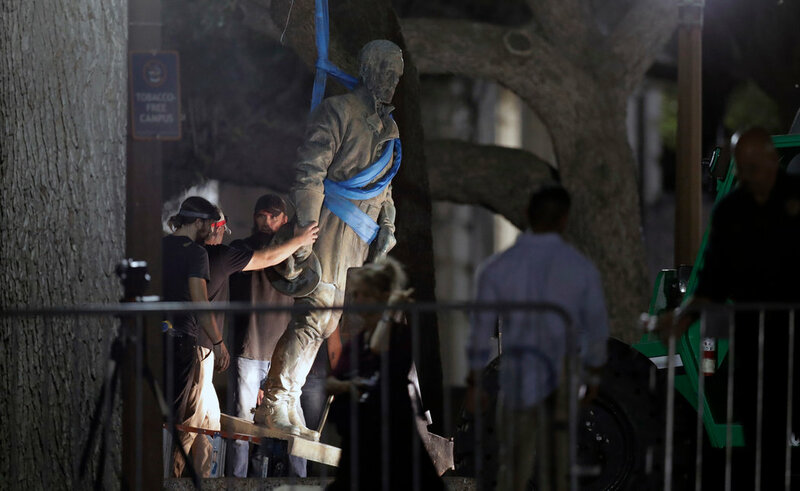 The statues were taken down before dawn on Aug. 16. 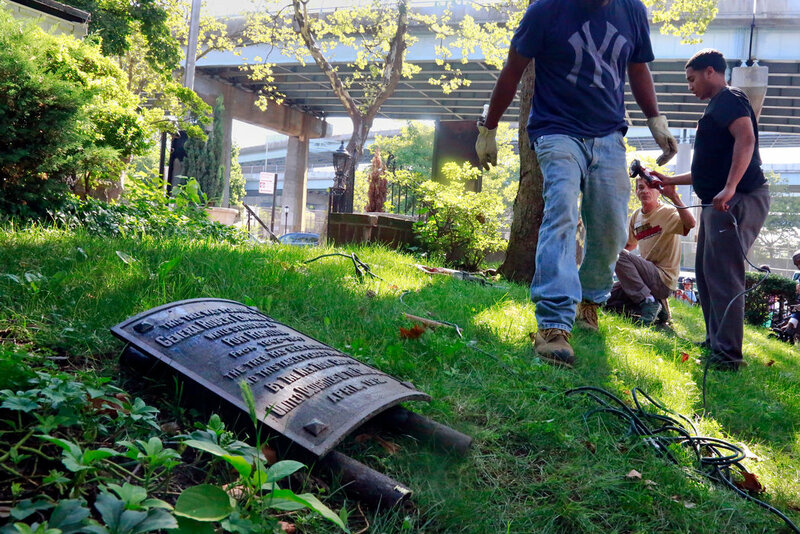 A plaque honoring a tree planted in Brooklyn in the 1840s by Robert E. Lee was removed on Aug. 16. The tree is next to a closed Episcopal church, and diocesan officials said they received multiple threats after the plaque was taken down. Another plaque was also removed. Protesters pulled down a statue of a Confederate soldier in front of the Durham County Courthouse in Durham, N.C., on Aug. 14. The statue, which had stood since 1924, was protected by a special law. On Aug. 19, Duke University removed a Robert E. Lee statue from Duke Chapel. 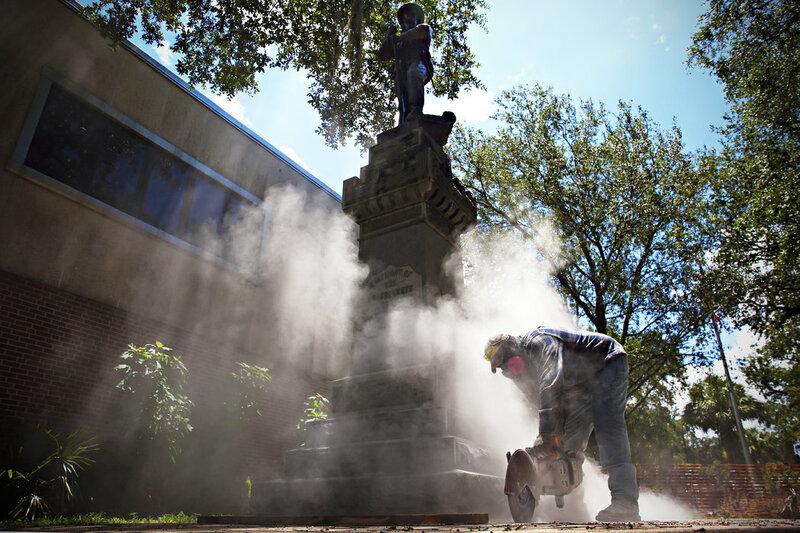 A local chapter of the United Daughters of the Confederacy paid for the Aug. 14 removal of a monument to Confederate soldiers that stood in front of Alachua County Administration Building in downtown Gainesville for 113 years. The monument, known locally as “Old Joe,” was moved to a private cemetery outside the city, according to The Gainesville Sun. 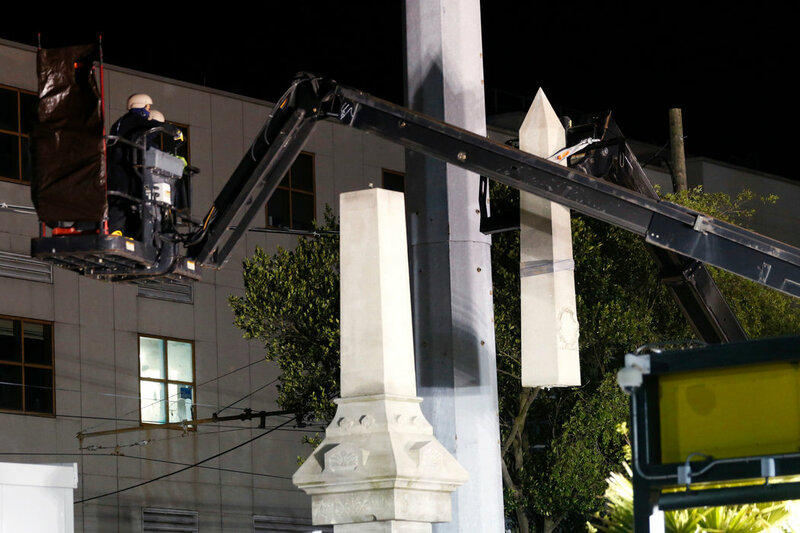 New Orleans removed four monumentsdedicated to the Confederacy and opponents of Reconstruction in April. City workers who took them down wore flak jackets, helmets and masks and were guarded by police because of concerns about their safety. 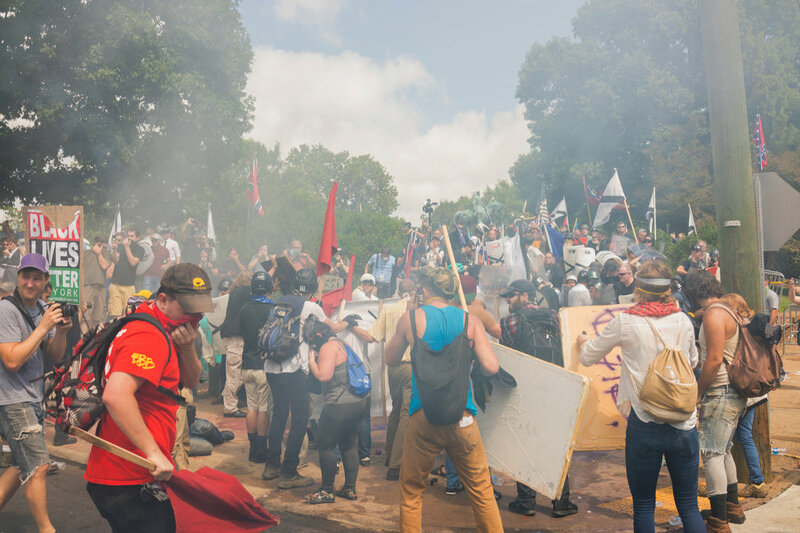 Violence erupted on Aug. 12 at a far-right protest against the proposed removal of a statue of Robert E. Lee, a Confederate general, from Emancipation Park in Charlottesville, Va. Thirty-four people were injured in clashes and one person was killed when a Nazi sympathizer plowed his car into a crowd of counter-protesters, the authorities said. The statue has not been removed. 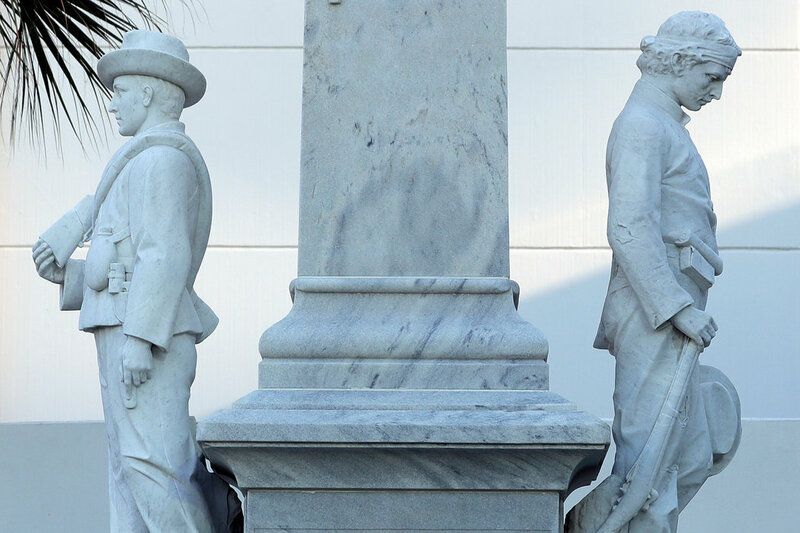 The president of Jacksonville City Council, Anna Lopez Brosche, called for all Confederate monuments to be moved from city property to a museum. The most prominent Confederate memorial in Jacksonville is a statue of a Confederate soldier that sits atop a towering pillar in Hemming Park. On Aug. 17, the City Council in Lexington, Ky., approved a proposal to remove two Confederate statues from the city’s historic courthouse. 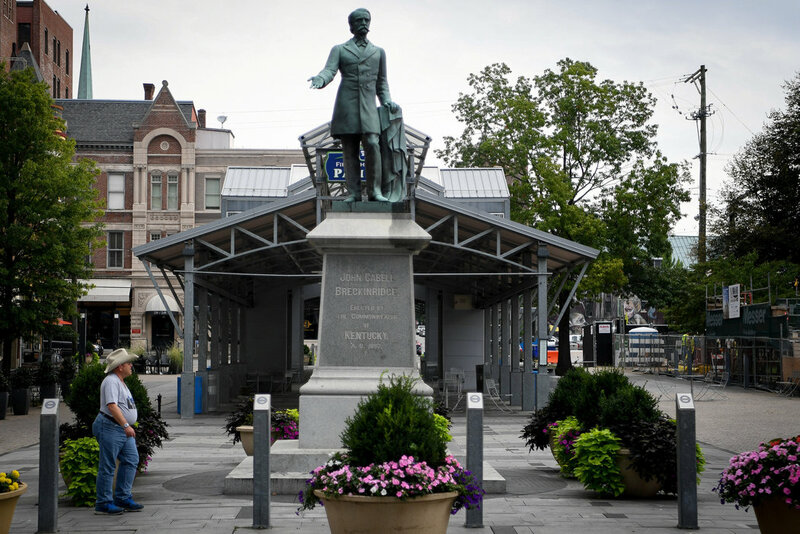 The mayor, Jim Gray, has 30 days to propose a new location for the statues, whose removal must be approved by the Kentucky Military Heritage Commission. The City of Memphis is seeking to removea statue of Nathan Bedford Forrest, a Confederate general, from a city park, but needs approval from a state agency. Gov. 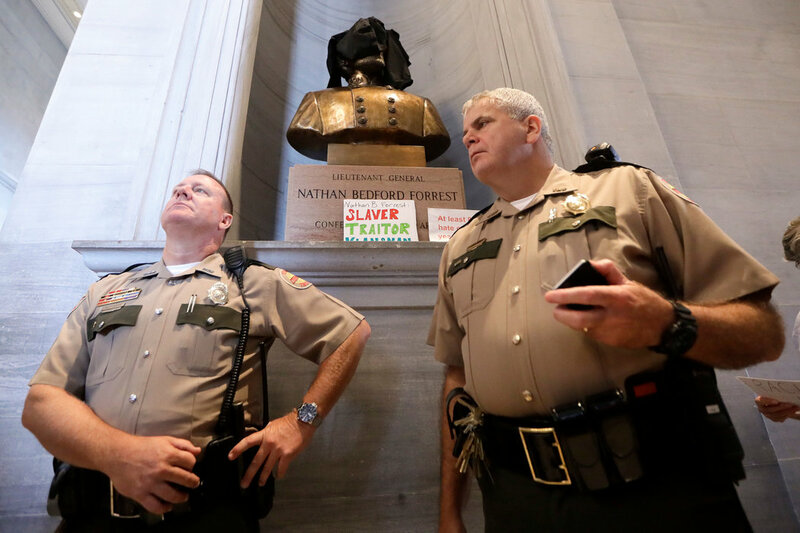 Bill Haslam, a Republican, said Aug. 14 that Forrest, who has a bust in the state capitol, “should not be one of the individuals we honor at the capitol,” but a 2016 law made it difficult to remove state monuments. Mr. Haslam urged action from the commissions charged with considering such removals. Mayor Levar M. Stoney says he believes the towering Confederate statues on Monument Avenue, considered by some to be the historic backbone of Richmond, the former capitol of the Confederacy, should be removed. Mayor Stoney had said as recently as Aug. 14 that he believed the statues should stay up with added context, but changed course two days later and directed a previously formed commission to consider removing all or some of them. Before the violence in Charlottesville, some city councilors had already been pushing for the removal of a statue of a Confederate solider in Travis Park. Demonstrators on both sides of the issue clashed on Aug. 12. 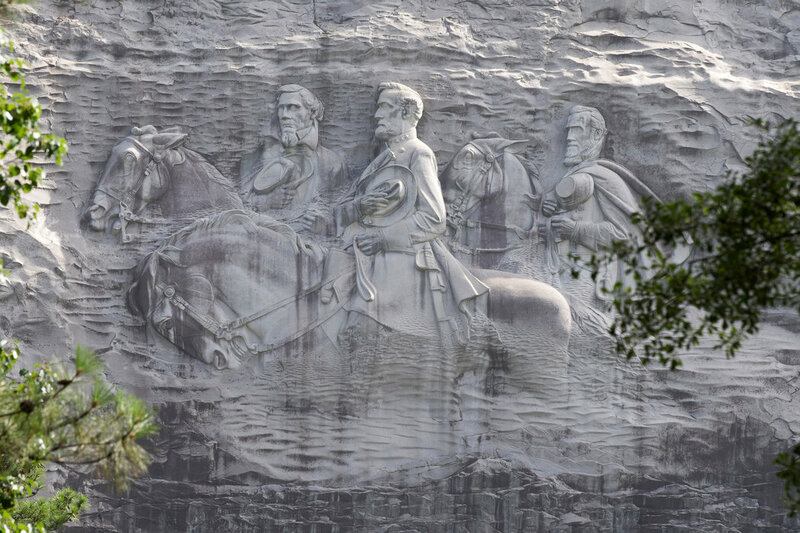 Stacey Abrams, a Democratic candidate for governor, called for the removal of the reliefs of Robert E. Lee, Jefferson Davis and Stonewall Jackson carved 400 feet above the ground on the side of Stone Mountain. The carving is protected by law. A Confederate monument in Tampa will only be removed if enough private money is raised, Hillsborough County Commissioners decided on Aug. 16. On Thursday, Tampa’s three major sports teams said they would help pay for the monument’s removal. 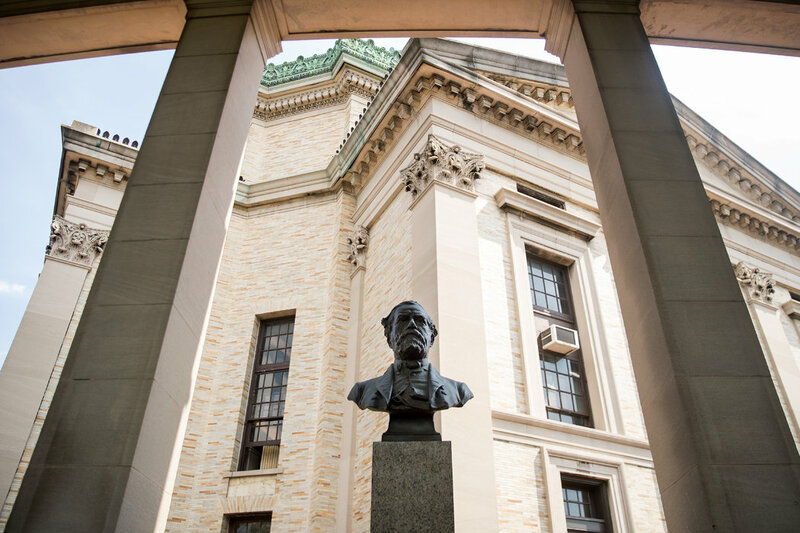 The president of Bronx Community College, Thomas A. Isekenegbe, said the school would remove the busts of Stonewall Jackson and Robert E. Lee from its Hall of Fame for Great Americans. Senator Cory Booker of New Jersey tweeted late Aug. 16 that he plans on introducing a bill to remove Confederate statues from the U.S. Capitol building. 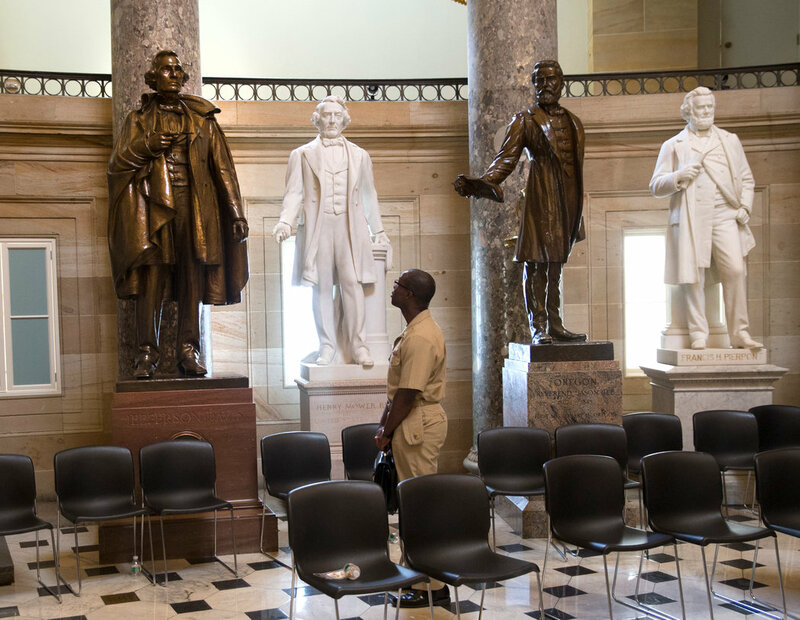 On Aug. 17, Representative Nancy Pelosi of California, the House Democratic leader, called for the removal of the statues, describing them as “reprehensible.” There are at least 12 Confederate statues in the National Statuary Hall Collection of the Capitol building. D.C. officials have called on the National Park Service to remove a statute of Albert Pike, a Confederate general, from a park. City officials in Franklin, Ohio, said Aug. 17 that they had removed a marker for Robert E. Lee overnight. Anti-racism activists had announced plans for a demonstration at the monument later this week. A once-obscure Confederate monument in the Hollywood Forever Cemetery was taken down Aug. 15 after the cemetery’s owners heard numerous requests for its removal. A Confederate statue was removed from Louisville, Ky., last November, and relocated to Brandenburg, Ky. A dedication ceremony in Brandenburg was attended by hundreds of people. 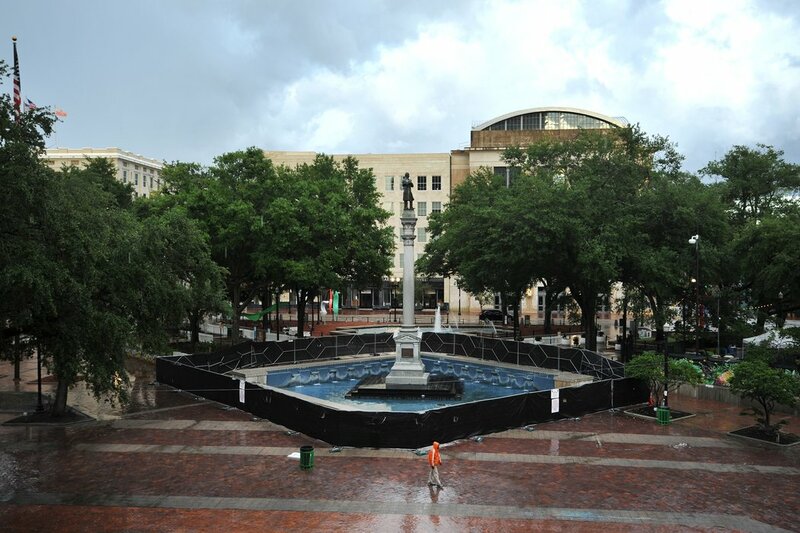 Officials removed a Confederate statue known as “Johnny Reb” from Lake Eola Park in June, with the intention of moving it to a cemetery. While moving it, they found a time capsule with contents including Confederate money. The plaque at Horton Plaza Park was removed on Aug. 16. “Monuments to bigotry have no place in San Diego or anywhere!” City Councilor Christopher Ward wrote on Twitter. A little-known Confederate monument was removed from Forest Park earlier this summer after a campaign by vocal activists. 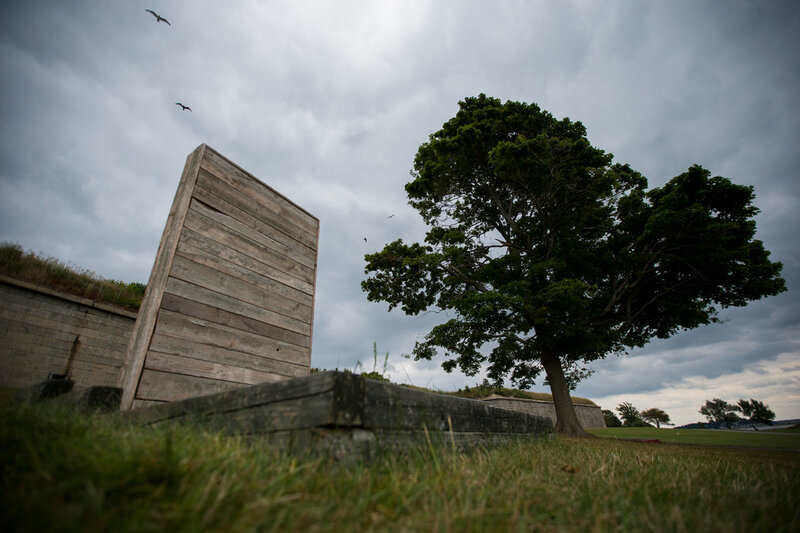 The memorial to Confederate women, a 1934 gift by the United Daughters of the Confederacy, was defaced by graffiti on Aug. 18 and boxed up two days later in preparation for its removal. Mayor John Rowe said the Confederate monument in Portsmouth, which includes statues and an obelisk, should be moved to a cemetery from its spot on High Street. A protest of the monument was planned there on Aug. 17.